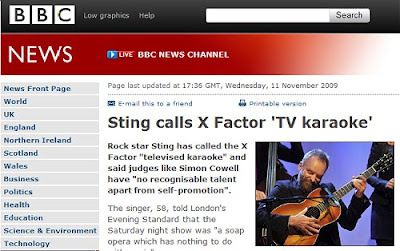 Rock star Sting has called the X Factor "televised karaoke" and said judges like Simon Cowell have "no recognisable talent apart from self-promotion". The singer, 58, told London's Evening Standard that the Saturday night show was "a soap opera which has nothing to do with music". Finalists in the X Factor are all contracted to Simon Cowell's company, Syco, as are all of the writers and producers, and the resultant CDs are all released and distributed through Sony BMG. The X Factor is, effectively, an hour-long television advert for Sony BMG - its artists dominate the choice of guests and, if you listen to the songs covered by the guests, you will find that a very high percentage of the material used in the show is from original recordings by Sony BMG artists. To reach the widest audience, Sony BMG market X actor contestants through the supermarkets rather than through more traditional outlets. 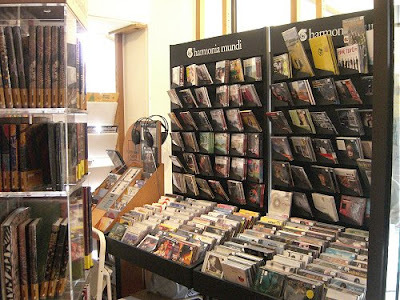 Its CDs will always be in a prominent position in store, often next to the till. To secure these positions Sony BMG will have offered the stores substantial discounts, which are not made available to independent stores who, therefore, cannot match the price offered in supermarkets. Even more damaging is the impact this has on the reputation of independent stores. If CDs are £4 more expensive in independent stores, customers are likely to perceive that they are being ripped off and so, in the future, their first port of call for buying music is increasingly likely to be the supermarket instead of the independent shop. In 2003 I had an idea to write a book. At that time, according to the Entertainment Retailers Association (ERA), the body that represents record shops, there were 948 independent and privately owned small chains selling music in the UK. By 2007 this number was down to 408. That equates to one record shop closing every 2.7 days. The carnage is continuing, and I felt it was important that somebody should document the interesting and varied stories behind independent record shops. Last Record Shop standing is essential reading, and provides a priceless snapshot of the quirky and fast-disappearing network of independent music retailers in the UK. 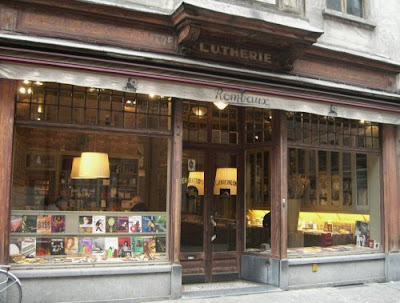 It is more lament for the past than action plan for the future; which means successful initiatives such as Harmonia Mundi's record label owned stores and their merchandised presence in independent bookstores in France, which could also work for ECM and other independent labels, are not covered. My photo above shows the Harmonia Mundi section in the independent Libraire Larcelet, in Saint-Dizier. Also missing is coverage of the turmoil in the distributor/wholesaler sector which is making it increasingly difficult for independent label's to get their CDs distributed to retail outlets. Yes, I know the death of the independent record store is part of 'progress' and the endgame is online music distribution But, as Lech Walesa once said, it is easy to turn the aquarium into fish soup, but it is more difficult to reverse the process. Last Record Shop Standing should be compulsory reading for every record company executive and artist, including Sting. It was recommended to me, as were many CDs found on the Path, by Prelude - still crazy about classical music after all these years - Records in Norwich, who epitomise everything that is great and valuable about independent record stores. As does the one below. There is no hope that such shows as X-Factor and American Idol will ever produce someone worthwhile who will truly contribute to musical culture. Are these shows ever going to find someone who can fathom Beethoven and Shostakovich and Sorabji, or who can improvise like Thelonius Monk, or who has even a hair-fraction of Nick Drake’s talent? David, for more than five years I have been championing the music of Nick Drake On An Overgrown Path. Do you know you are the first reader to have ever mentioned him in a comment? Alas, Nick Drake is a much overlooked genius. His story is definitely worth of film or operatic treatment. I try to catch the documentary about him whenever it shows on television (usually on TV-Ontario), and that is actually quite often. The documentary is as ethereal as its subject.